Mom on a budget: 6 tips for being a stylish mom. Often too many times as moms we put ourselves last. Of course, as a good mother, you always put your child first. But as a good mother, it’s also important to take care of yourself as well. So today on my blog I am starting a new segment called "mom on a budget". Every once in a while I am going to bring you this segment. It will be about how to do different things to do on a budget as a mom. I realized after spending all my money to make my little's look good there's seldom money left over. 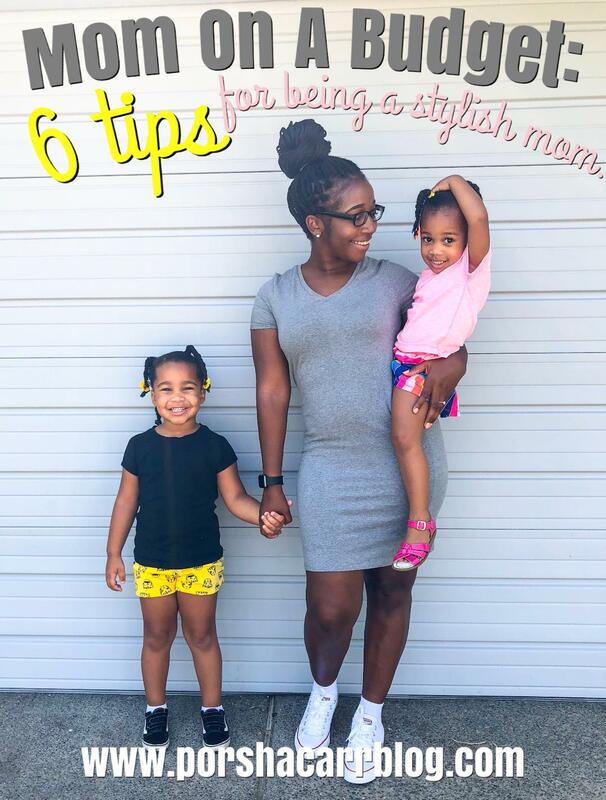 So in this post, I am going to bring you six tips for being a stylish Mom on a budget. 1. Shop sales: Typically every Sunday most stores have new sales. This is great because there's always a variety of sales to choose from. 2. Go thrifting: Most of the time all the stylish moms you see on blogs got their clothes from second-hand shops. There's nothing wrong with that. Thrift stores have amazing deals and can you say vintage? 3. Find yourself a uniform: A uniform is an everyday outfit which is pretty much your go to. It's great to have a mom uniform because with kids who really has time to prep their outfits? With a mom uniform, you can re-wear this style a bunch of times saving money. My mom uniform is a pair of tennis shoes, jeans, and a loose-fitting t-shirt. 4. Hit up a beauty school: Beauty schools have a ton of students who are actually really good at what they do such as makeup, nails, haircuts etc. Going to a beauty school to get these done can really save you some bucks. These services are half of what you would get at a regular shop. 5. Go to hair: When going to get your hair done at a salon or shop make sure you get a style that will last you a long time. That way you won't have to go back and spend money on getting your hair done again. 6. Avoid keeping up with the jones's: Look what you don't know is the Joneses across the street have a credit score of 399 and are broke. They do it for the gram. Don't try to make yourself feel better by keeping up with trends. Attempting to keep up with trends is one of the fastest ways to go broke. If there's a trend you really have to have do your research and find an affordable version of it. Hope you guys enjoyed this first segment of "Mom on a budget". 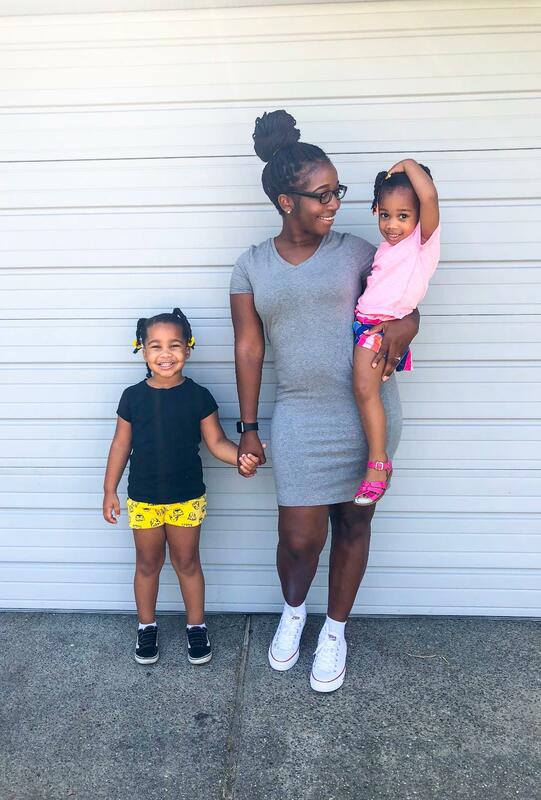 How do you save money by being a stylish mom? tell us in the comments below. Nice tips! I think having only a few clothes that fit perfectly makes my wardrobe budget-friendly but like I've still put thought into it.